While I was in Japan I used to eat many parts of chicken including hearts, liver, and gizzards, especially at yakiniku and yakitori restaurants. 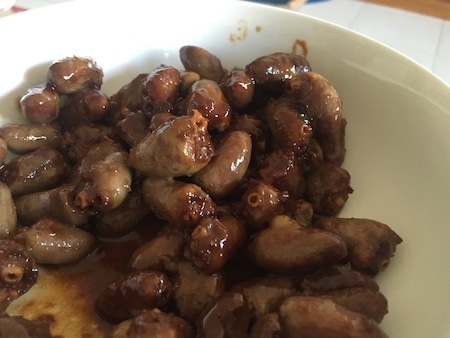 I love chicken hearts and gizzards as they have texture when biting. 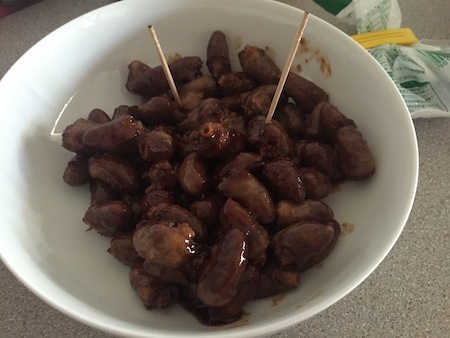 Chicken hearts used to come with chicken livers when I shopped at a butcher near my house back in Japan. 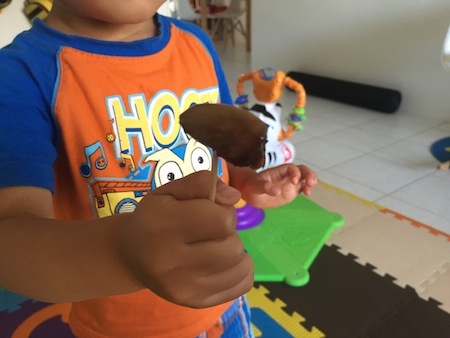 Although I don’t hate livers, I used to pick only hearts to eat as they are chewy, and my family used to complain about it. 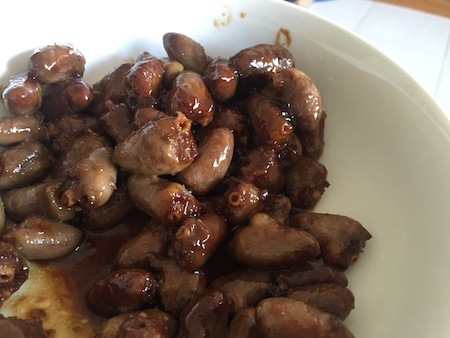 When cooking livers and hearts we normally cook them with only ginger, soy sauce and mirin. Ginger helps to remove any distinct smell that meat may have (though hearts don’t really have any gutsy smell), and the sauces give teriyaki-style sweet and salty flavour to the dish. It really goes well with steamed rice! Place a frying pan over high heat and spray oil. 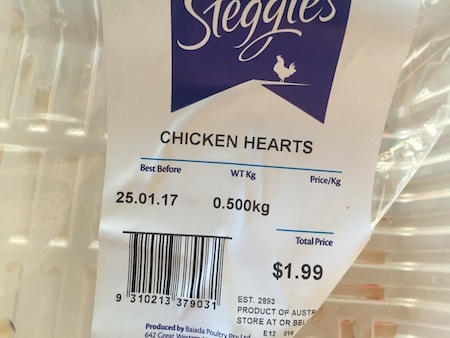 Cook hearts (out from the package) for 3 minutes. Add ginger, soy sauce and mirin to the pan. Cook over medium heat until the sauce reduces and get caramelised. Turn off the heat.